Nokia seems to be upping the music experience of Lumia 820 users with the addition of Dolby Headphone technology to the smartphone, bringing with it a better audio clarity and a more natural sound quality – as if you are bombarded with a complete set of loud speakers around. Nokia’s Anna Kurkijärvi said in a blog post that Dolby Headphone delivers a natural listening experience, simulating “a multi-channel surround sound.” From where I stand, that sounds pretty much like you’re listening to a live recording or watching a concert at a superb theatre, where every wave of sound all goes through your ears in a finely tuned manner, when in fact you are only using two channel stereo headphones. With Dolby Headphone, you’d almost forget all you are wearing is a pair of wired headphones jacked into your Nokia Lumia 820. Which is better than wracking the nerves on your feet standing for a couple of hours in a concert venue! 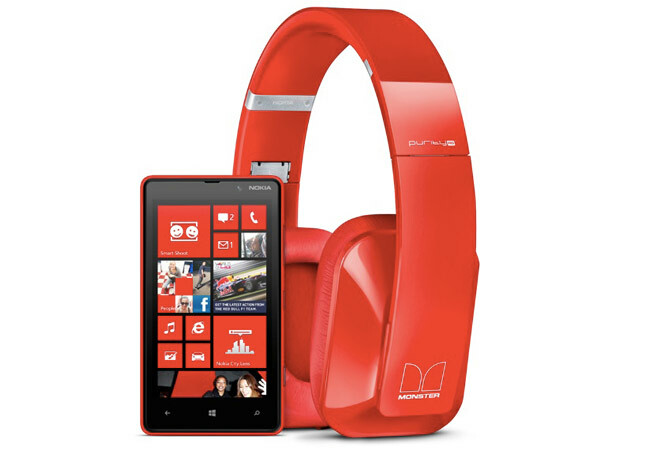 Lumia 820 also comes with other state-of-the-art accessories like the Nokia Purity Pro Wireless Headset, a Bluetooth-supported earpiece that is designed to cancel background noise and endure a daylong sound trip. Sharing your favorite music with your friends comes easy with another accessory, the JBL PlayUp Portable Wireless Speaker for Nokia. The device comes in four colours and keeps the music playing for up to ten hours at a time. Of course, the music would never be complete without a playlist. Well, Lumia 820 effortlessly brings the Nokia Music Store and Nokia Mix Radio right to your fingertips, with more than 17 million tracks waiting to be downloaded. That’s not all. Nokia is adding more features. One of the prominent music apps for Windows Phone 8 is the Xbox Music Pass, a streaming service that churns out around 18 million tracks of your favorite songs. The service is free for six months of unlimited listening. The Xbox Music adds new tracks weekly. Xbox Music has an audio equalizer with 18 presets and seven-channel system, which you can tweak according to your preferences. There are a few helpful functionalities added to Xbox Music. Now, there’s the quick Facebook sharing option. The Music app has also seen improvements to its search capacity for specific venues and directions to upcoming concerts, along with ticket outlets. There’s nothing to worry about space for your music library, Kurkijärvi assures, thanks to the 8GB internal storage and an SD card whose rich storage capacity can expand up to 64GB. Users also get 7GB on their SkyDrive accounts, an integrated Cloud service for Windows Phone 8. The catch: Nokia Lumia 820 users don’t only have access to their playlists on the Cloud, they can also sync these files through Nokia Music and listen to them even in offline mode for free, according to Kurkijärvi. Dolby Headphone technology is also available for other Nokia handsets such as the Nokia N8, Nokia 700 and Nokia 808 PureView.